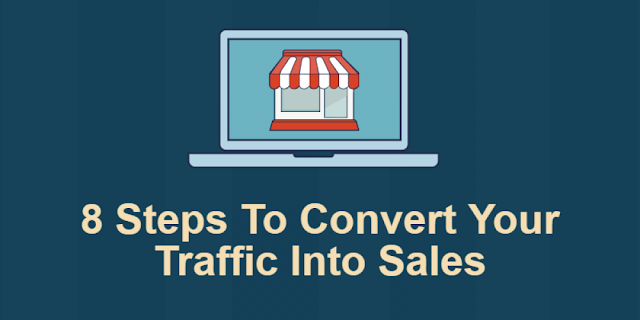 It is easy to create an e-commerce website, but drawing traffic to it is the toughest task. As an online store owner, you always put efforts into attracting the customers. Finding the applicable method for getting users attention can be more challenging even if you have everything that your customers desired for. For getting growth and development in the online market, you need to be committed. It is the quickest way of finding traffic. This is a PPC based method for holding consumer's attention to your e-commerce site. It simply says that you are responsible to pay money to Google if somebody clicks on your advertisement link. To appear in the top position, your online store needs to be optimized properly. There are many online merchants who use duplicate content. It is required for you to show the unique content for every product category and page. When you will not be able to prove that you are different from others, your position will go down. You should always try to provide a detailed product description to be on top. 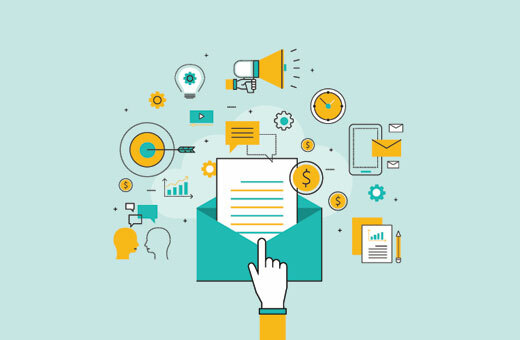 You should not ignore email marketing as it can be the best method for drawing the attention of customers. It is essential for you to use coupons, discount, offers associated with your product so that you can increase your ROI. All promotional effort needs to be applied for finding potential customers. For making potential customers, your e-commerce store needs to be engaging enough. 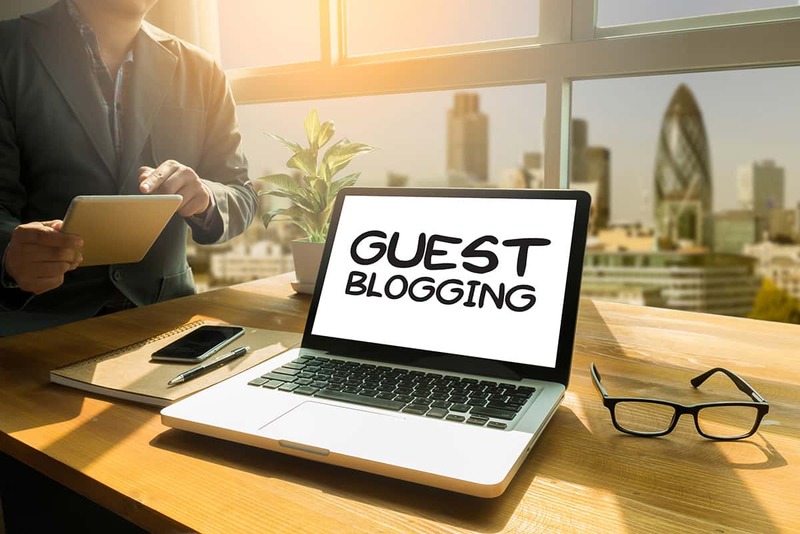 An online store owner shouldn’t ignore the power of posting unique guest blogs, it proves that you are genuine. After guest blog will be published, interested people respond back to your shopping website. There is even facility to add at least two backlinks in your guest blog, it will direct your interested customers to your online shop. 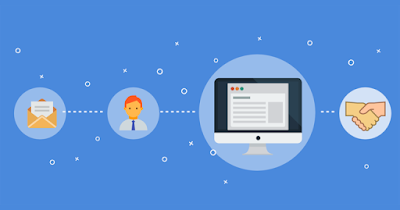 The best strategy to increase your online store customers is persuading your existing users to invite their friends to complete the Sign Up process. For inviting new users, provide rewards like free shipping, gifts, and discounts on the future purchase. It is a type of advertisement method which shows banner with the product picture which has been recently seen through customers. There is no need to have any specific design, you can pick any color with the desired format. After adding a logo, the search engine will assist you by enhancing your product popularity. Everyone is using Facebook, Instagram, Twitter, Linkedin and a number of other social media platforms. Social media helps you to promote your business conveniently. If you want to gain popularity within a short period, try to show your products advertisement on these promotional sites. You can post text ads with picture and even use videos for getting more ROI. The guidelines for finding a better traffic has been provided here. When you will apply all these methods, you can consider seeing yourself in the top position in different search engines. Customers will start believing in your products and get stick to your brand. Author Bio: Jacob Colleen works as a Digital Marketer at Webby Central. He loves to share his knowledge associated with different techniques that can be used for increasing the popularity of an online business. He also writes on other related topics to update users. How to Increase Click-Through Rate on Google AdWords? Want to boost your AdWords click-through rate (CTR)? Everybody does, but the challenge lies in finding the right ways to increase CTR. The process of knowing how to increase click through rate on Google AdWords can be quite frustrating. A lot of webmasters suggest focusing on ad copy optimization techniques, but that can take you only so far. Eventually, you will need to implement advanced ways to enhance your CTR. If you want to find surefire ways to improve CTR of your AdWords ads, the following might help. Take a look. How can you even begin writing an ad copy or boosting it if you don’t know your audience? So, you need to first get to know your audience and know what you are dealing with. The approach need to be different for audience of different demographics. Also, this is important because getting any kind of traffic is not going to help you. You need to only get the right kind of traffic as that is the only thing that will increase your CTR and fetch your business success. Ad contents featuring the most important keywords are likely to be clicked more because it makes the copy appear relevant to what the users are looking for. However, this does not mean that you use keywords everywhere in your ad copies. Overusing keywords will negatively affect the CTR and make your ads appear superfluous. The right approach of making use of keywords would be to use it once in the description text and one in the headline. In case it is impossible to use the exact keyword in both the places, you can use synonyms. Broad match keywords activate ads for different search terms and you may not be targeting all of them. Due to this, your ad copies’ relevance for the actual search terms of the users might suffer, resulting in negative impact of your CTR. The smart approach would be to find a balance between the relevance and the targeted keyword. It is thought to be better if you make use of a combination of exact match and phrase or exact match and modified broad types of keywords. This will help you to be relevant, write more targeted ad copies and save from irrelevant clicks. Improved CTR is the immediate result that you will see. Your click-through rate will improve dramatically if you can convince users, via your ads the relevancy of your landing pages. The use of the keyword in URL convinces the users that the landing page is exactly what they are looking for and therefore, they are most likely going to click on the ad. Do you know why Snapchat or Instagram stories such a rage? It is because they disappear within a few hours! This leads to creating a sense of urgency and people always refresh their feed to make sure that they did not miss any latest happenings. The same psychology is applied with the countdown timer. You simply have to add a snippet in your description or headline and put a start and end date. Such ad copies are proven to not just increase the CTR, but also conversions from traffic. When you get a high CTR, Google enjoys it too because when a user clicks on your ad, the search giant gets paid. It’s basically a win-win situation. So, it is basically in the best interest of the search giant that your CTR is higher. So, the search engine offers you with some help in the form of ad extensions. You can make use of ad extensions to enhance your CTR. There are a number of different types of ad extensions, but the most popular one being review extensions. These extensions became available quite recently and recommended by Google to help increase CTR. When you get a review from a trustworthy, credible source, it will make your users trust your business. As per research, review extensions can boost your CTR for as much as 66%. Have you ever come across a situation when your ads got more exposure on mobile devices as compared to desktops? The reason for this is quite obvious. Mobile searches are increasingly outperforming desktop searches, and therefore, if you see such a phenomenon happening with your ads, it is quite normal. However, this is not a clear indicator that mobile devices will provide you with better CTR or better performance. In order to increase CTR, what you can do is make use of device modifiers and adjust your bids on the basis of the performance. 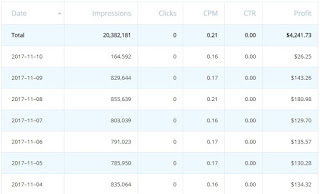 This will allow you to maintain control over how your AdWords ads trigger on various devices. Your ad has to stand out if you want to increase your CTR. For that, you need to impress the audience. You can do so by starting your ad with a question. Make sure to use a question that will immediately grab the attention of your target audience. This will help to improve your CTR. You must remember that any technique aiming to enhance your ads’ differential view in the Google’s search results will work better when your competitors are not doing the same thing. In case they are doing the same, it will become a challenge and very difficult for you. So, if you already have everything in place, you might want to consider escalating your bids. This will instantly help to magnify your chances of getting more CTR since the position of your ad will improve. However, you must be prepared to incur more expenses as increasing the bids will cost you. The search partner websites trigger your ads by default unless you have opted out of it. In general, these websites gather a lot more impressions and fewer clicks, and hence, usually have a negative effect on your CTR. But, that is not always the case. There are instances where search partners have performed better in some of the campaigns. So, it will be better if you were sure of it. Make sure to check this before you opt out of it. In order to check this, you can segment your impression, click, CTR and so on by network type. This will tell you the performance of your search partners. A thorough analysis will give you a clear idea of what is lacking and what needs to be done in order to get more click-through rate on your AdWords ads. You can consider making use of negative keywords proactively so that your actual keywords become much more relevant to your users. Your ads will trigger for the relevant search terms. As you must already know, where your relevance is better, your CTR is bound to be higher. Believe it or not, including numbers or symbols in your ad headlines will give you a competitive edge over others. It will help to catch the attention of your targeted market much more quickly and easily, and therefore, help you to boost your click-through rate. In a sea of text, number or symbols will pop out and that will be the first to grab attention. But, you need to make sure that the symbols or numbers you are using are relevant. 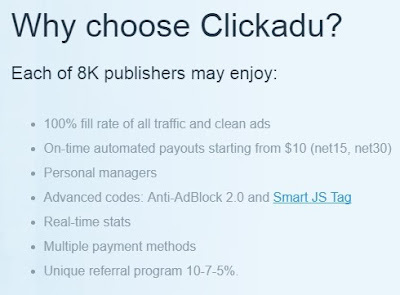 After all, you cannot get a click if your ad goes unnoticed. So, give it a try and see how that works out for your ads. The presence of call to action or CTA is extremely vital in your website’s content, articles, blog posts and even AdWords ads. Research shows that the human mind actually waits for a CTA from your PPC ad. The Internet users expect to be directed towards taking an action after they have gone through an ad. Once a user has viewed your ad, they will want to know the next step. Simply put, readers are curious and you can tap into that curiosity by using a compelling call to action. Some examples of CTA would be click here, read more, find out more, download the brochure, get yours today and so on. You have full freedom to think-out-of-the-box when it comes to CTA because this should be unique and hard-hitting. Keeping all the technical aspects aside, creativity is what everything actually comes down to. You need to be creative to stand out from the rest and have the limelight on your ad. Your competitors might all have the same thing to say as you, but what matters is the presentation. You need to come up with distinct, fun and thought-worthy ways to say the same thing to your audience so that they take notice of you and ignore your competitors’ ads. You need to think beyond keyword and get into the psyche of your audience. Brainstorming sessions are particularly useful in this case as it will help you to come out with ingenious ideas. So, if you were wondering how to increase click through rate on Google AdWords, the above-mentioned CTR optimization tactics should help you. It will help to increase your CTR and eventually, bring the cost of running AdWords ads down. In case you are still unsure, it might be better to discuss the opportunities of your AdWords ads with a professional. Author bio: Lokesh Aryan is the founder & CEO of Lokesh Aryan Digital. He is a Professional Blogger at lokesharyan.com, Influencer, and Author of On-Page SEO - Everything You Need to Know. He is currently working as Freelance SEO & Content Writer. He is Google Analytics Certified and SEMrush SEO Certified and having experience in high competitive niches for B2B and B2C clients. 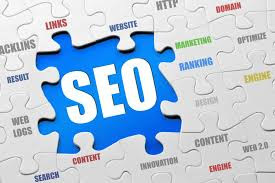 SEO is his core competency and he has a track record of getting clients the results they want. He likes writing, reading novels, playing cricket & volleyball. He also loves music, sings and plays guitar. Social media marketing can be a minefield. When done right, it can drive traffic towards your business, yield unprecedented conversion rates, and boost your SEO and audience engagement. However, when done wrong, social media is a huge drain on time and resources, and is not at all fruitful. While having social media profiles is a good start, the following mistakes are easily made, and can be a huge hindrance to your business. Whenever your customers comment or post on your page, it is essential to respond. Even if they are writing something negative, there should always be a polite professional response to show that you do in fact care about your customers. For a relatively low cost you can engage the services of an expert and professional editor for your content writing and proof reading. This can massively boost the quality of your posts, which in turn will drive engagement and SEO. There’s no doubt that search engine crawlers check for spelling and grammar mistakes, so by hiring an editor, you erase any chance of that, and free up time to concentrate on strategy and campaigns. You can place an ad and interview potential candidates with Upwork or Freelancer, where you post the task that you need doing, and then potential candidates apply. This is a great way to create a long term working relationship with the same writer, so the same voice is present across your business. However, some businesses prefer a more automated service, which is fast and efficient, such as Paper Fellows or Big Assignments. You simply fill in an order form and then your work is assigned to an available expert. 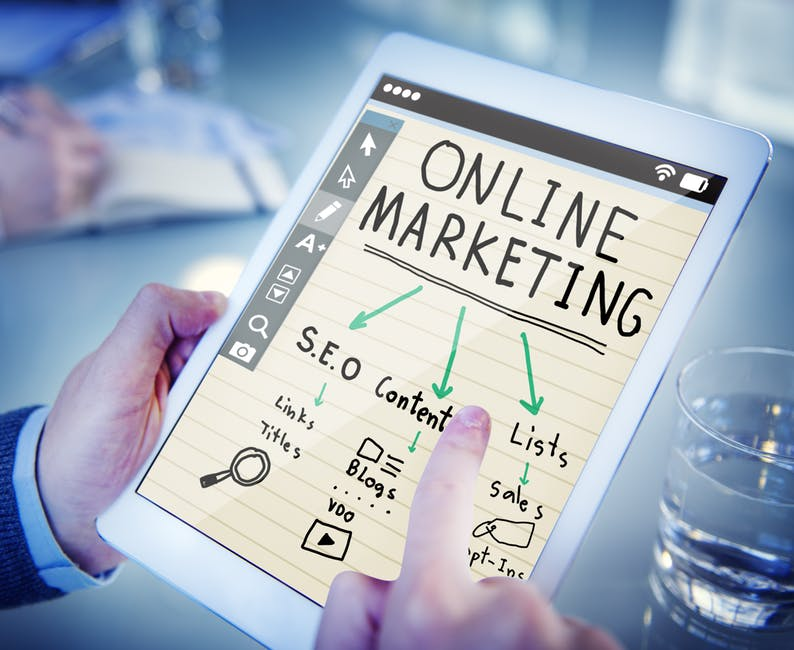 A similar approach is followed by Contently, though rather than specializing in writers, this source specializes in content marketing, which ever platform you choose depends on what you are really looking for for your business. Social media isn’t the place to be too pushy – you can’t just describe how great your business or your product is. Instead, describe how you understand your audience, and how your business can help them. Hemingway App – this is a comprehensive spelling and grammar checker that goes into much more detail than anything offered by a word processor. You’ll be advised when your sentences are too long, your structure could be better, and we you’re using too many adverbs or unnecessarily complex vocabulary. This really makes your writing stronger. Easy Word Count - it’s now a well-acknowledged fact that posts of 1000-1500 words are the best for engagement, and no landing page should ever be less than 300 words. You can use this tool to make sure you stick to your targets, even if you’re writing on a mobile device. Headline Analyzer - as there are millions of new websites and pages of content posted online every day, it’s not surprising that you need a catchy headline to make sure yours stands out and is appealing to your audience. This tool helps make sure that every title attracts the maximum number of clicks. There’s a fine balance that you will need to find – you can’t post sporadically or you’ll be overlooked, but you can also lose followers by posting constant meaningless updates. You should be regularly monitoring analytics to check the successes and failures of your posts, so you can learn from mistakes and continue to grow. Facebook and Twitter are important, and potentially LinkedIn for a HR Manager. Outside of that is quite industry specific, but there is definitely no need for a business to try and keep up profiles across every social media platform. All of your social media campaigns should have one goal in mind, and every post should contribute to the goal. They shouldn’t be random. On Twitter you should use hashtags, on Facebook make sure your location and up to date details are available. Posting generically to each site is not as effective as taking the time to optimize your content. While recycling content every now and again can be a good thing, it should only be your own content, as plagiarism is a huge turn off to many on social media. Avoiding the ten mistakes listed above is simple, and by doing so you can multiply the effects of your future social media marketing. How Small Businesses Can Make Their App More Discoverable? Today, the mobile app market is flooded with enormous applications, and it is one of the most competitive spaces in the whole world. As per the latest report by Statista, there were 2.5 million applications in the Google Play Store, as of March 2017, whereas Apple app store has 2 million applications, so you can imagine how tough competition is. Between this huge number of applications and high rate of advertising, it is extremely challenging to acquire and retain more users. Being an app marketer, you need to work hard to take an application in front of the right audiences. By increasing exposure for your app, you can increase the number of downloads and enhance store ranking that results in driving revenue for your business. One of the most effective strategies to boost long-term exposure is app store optimization. ASO is the technique that can test and measure updates to app store marketing assets with the main aim of boosting visibility and increase more downloads. Do you know that knowing and examining your audience is the part of analyzing the apps? You need to know your competitors as well both directly or indirectly. First, you can analyze your indirect competitors for which you need to survey the top apps in several categories and make note of recurring elements. You can check their applications that whether their apps use similar terms or calls to action. You can examine their picture like what they are portraying. When it comes to talking about the direct competition, you need to look for the terms that you predict your potential downloads using and then examine the apps. All these are those apps that are optimized for specific keywords; therefore, you need to ensure that you take all in and check what they are doing. 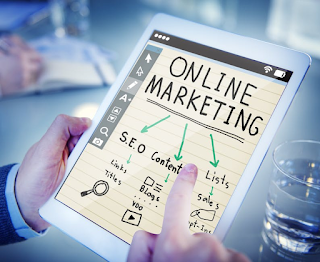 As you know that search optimization was and still it is a highly perilous part of a website marketing plan. In the last couple of years, we have been trained to look for “what we want”. However, the App Store is a directory of applications and it is mainly driven by search. However, the principles of SEO are not going to apply to App Store Optimization, there’s not much unorthodoxy from the basics. You need to think from your customers’ viewpoint and for it, you need to put yourself in your customers’ shoes. Make sure that you test search and know where your application shows up. Know where your app discovery process like what end users are thinking. You can also check which apps are ranking for the keywords, which matter to you and what are they doing. Analyzing your competition to find repeated titles and descriptions that are vital. These are those terms that your audience uses to search with; therefore, you ensure that you can be found with them also. An instant sideways for mobile app design practices, so you should not use your company or app name as a keyword. They are not aware of you, so how they will search for you? You can keep this keyword for later when you have a successful application under your cap. When it comes keywords, it is a must that they precisely reflect your application. While the last thing that you are looking for is to download your application and look for something that is not there, compel them to delete the app and then leave the scathing review because they felt deceived. Choosing a right category for your application is highly important in itself. One app fits in more than one category, so you need to choose one carefully. That category would be perfect for your app that gives it the best shot of ranking high in the top charts for your selected category. It doesn’t matter that whether the category is mostly used or not very well-known. For instance, the social category is known for increasing more downloads when it compares to the lifestyle category. It is true that your app will have a tough time ranking highly in the social category compared to the lifestyle category. So, it would be better to be higher rank in an average category than being on the lowest rank in the protruding category. While, the prominent category’s brands are huge and are not easy to beat, but if you are able to do it, you can get huge amounts of downloads. It would be advisable to do the risk calculation for your app and for yourself, so comprehend the advantages and disadvantages of each category and choose the most accurate category for your application to increase its success. A right mobile app design tool is the use of gestures. By using gestures other than tap in your user interface is a right way of boosting the user experience of your app. You have an option of tap, double tap, drag, swipe, spread, scroll, flick, pinch, and recently with Apple devices, 3D touch, which is a feature that senses how intensely you press the display for an improved experience. Moreover, gestures are a shortcut of sorts, which enhances UX by diminishing the importance of buttons, so decreasing clutter on the app. Ensure that you do not overload your users with too many gestures. Make use of obtainable spaces as you can involve up to five different screenshots in the Apple’s app store, whereas up to eight in the Google Play store to promote your application. You can make use of all to increase the visibility and sell your app’s value. Priorities main messages as the first two screenshots are widely visible. In reality, they even can show up in search results for the app store. Ensure that your essential selling points are featured in these screenshots. 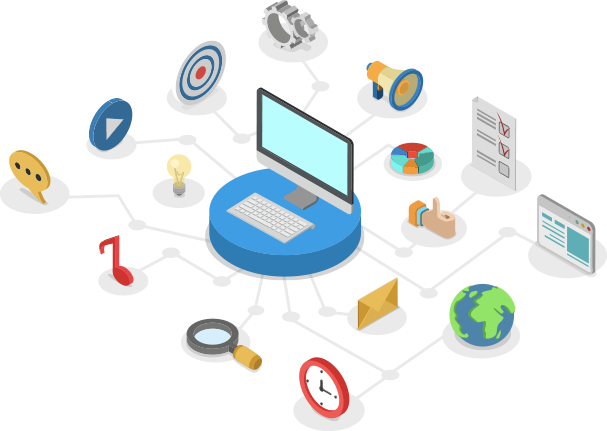 These are the top easy ways to make your application more discoverable so that people can easily find your app and leverage the benefits. You can consider these tips and make it easy for people to find your app. Author Bio: Jyoti Bharwani is a Sr. Content Developer at Space-O Technologies. She has a keen interest in writing related to mobile app development and app marketing. In free time, she prefers to read non-fiction books. To follow her on Twitter.